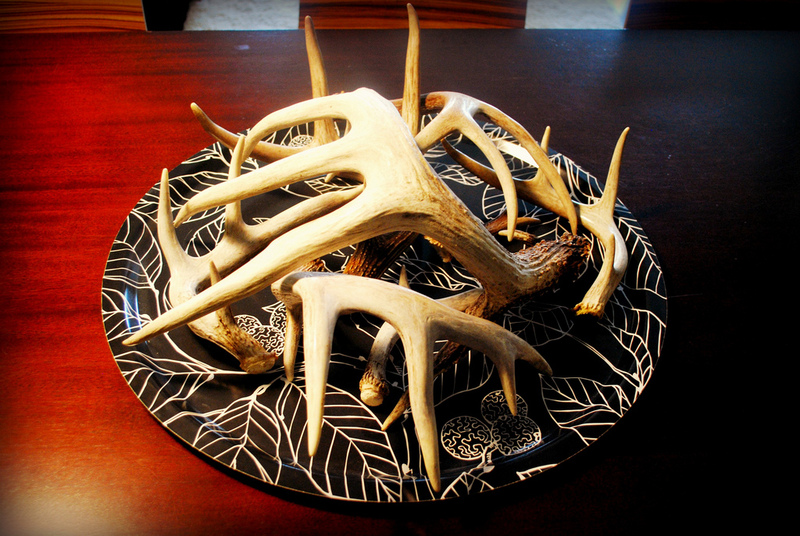 the boo and the boy: got me some new antlers! got me some new antlers! 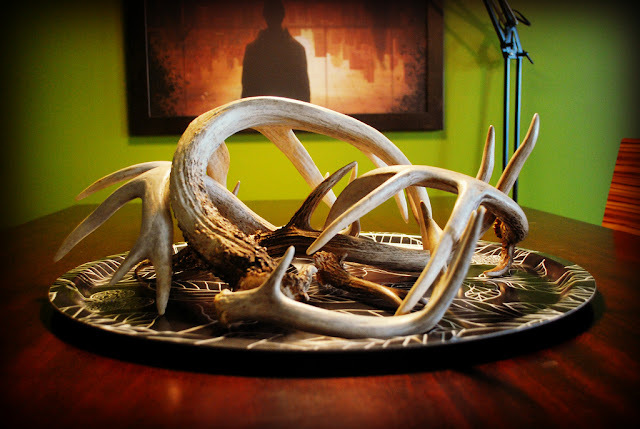 My good buddy Jim, who brings me antlers from his home in Alberta, happened to be in town this week on a course. 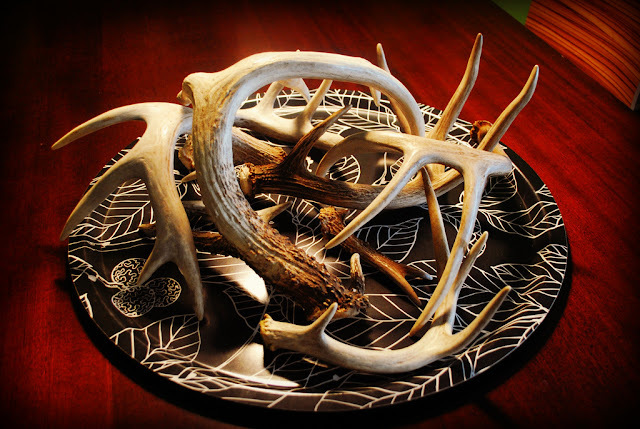 Jim, being the ever so thoughtful guy that he is, packed a whole bunch of antler sheds in his suitcase because he knows how I obsess over them. He's brought me a ton in the past and thought I'd be tired of them by now but HELL NO. I was even nice enough to let my twin sister have three of the lot (because she loves them as much as I do). Jim - thank you once again for thinking of me and for bringing these beauties all the way from Alberta in your suitcase. THANK YOU! THANK YOU! THANK YOU! Ok, Jim, remember me....yeah me....I told you last time I saw you that I'd also like to have some antlers...so next time, bring me some :-) just sayin' that would be awesome :-) lol! nicole - that's a great idea but I just can't part with any! Roberta - I'll tell Jim he can stay with you if he ever visits, in exchange for a suitcase of antlers! LOL! @Julia ~ I was just kidding. Mainly, because I am jealous. ;) Your friend Jim seems like one rad dude! Jim is a rad dude. 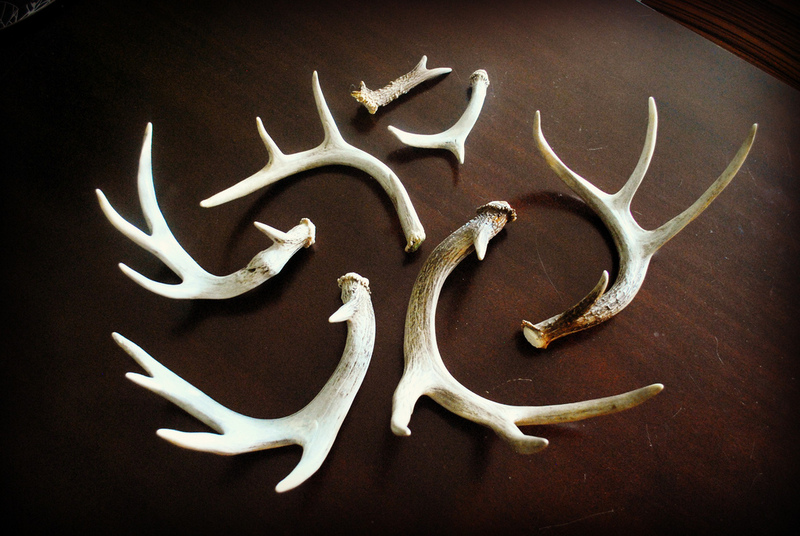 I heard a rumour that he might be shipping more antlers due to popular demand! LOL! They really are the most amazing things when you stop and think about them! You bet! I think that is why I am so obsessed with them!